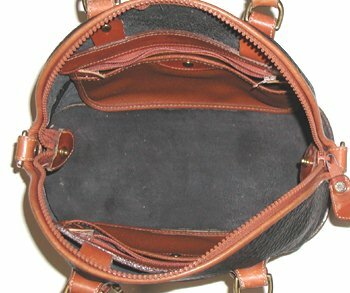 "This bag has an ingenious design with the wide top entry to load and unload. 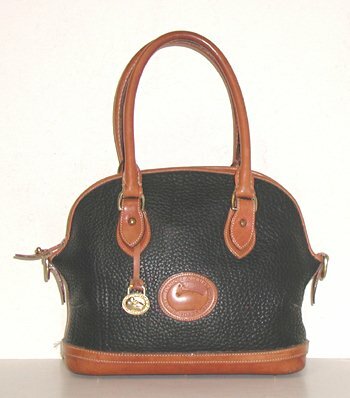 Some people never use the shoulder strap so you have the option of ordering this bag with or without the strap. 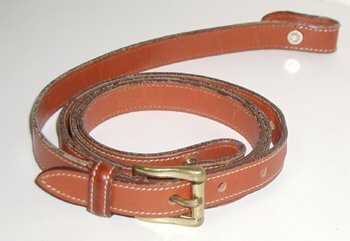 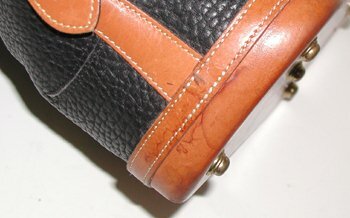 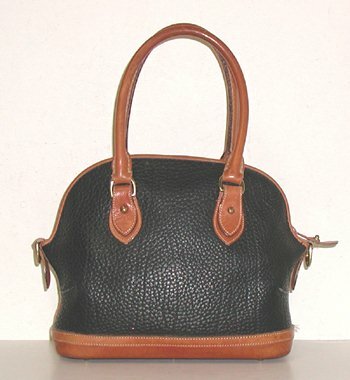 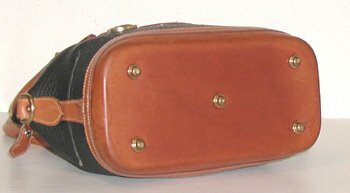 "Hand-fitted is the term that Dooney & Bourke uses to describe the hand blocked and stitched heavy leather base characteristic of this style of bag." 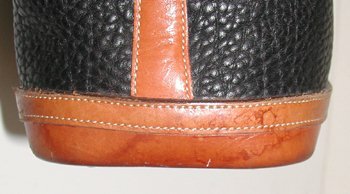 Water stains on ends of base. 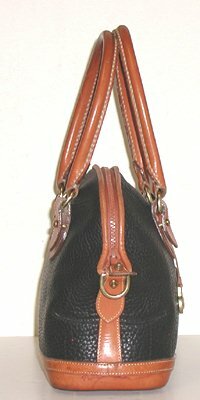 Order bag with or without shoulder strap.